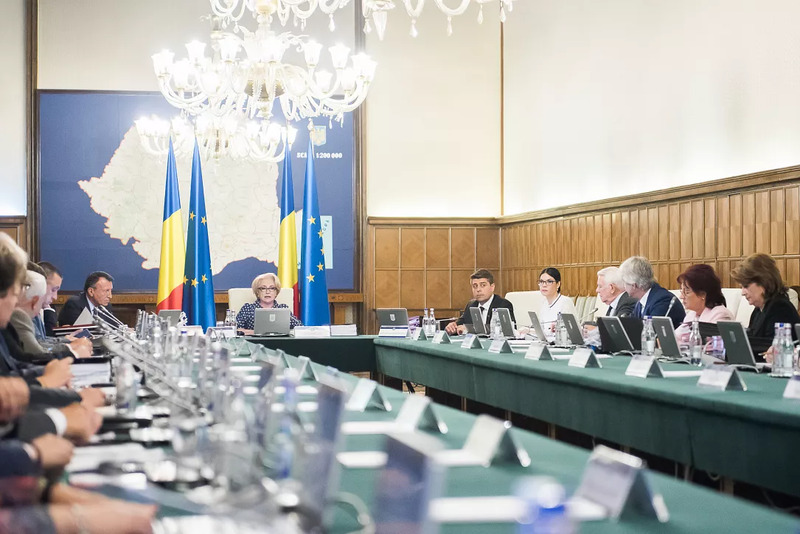 Romania’s Government adopted the budget draft for 2019 on February 8 and sent it to the Parliament, where it should get the final vote on February 15. The budget passed by the Government envisages slightly (0.1% of GDP) higher revenues and expenditures compared to the first draft posted for public consultations. However, it aims at the same deficit of RON 26.1 billion (EUR 5.59 billion) or 2.55%-of-GDP, local Hotnews.ro reported. The Government envisages revenues of RON 342.7 billion (EUR 73.4 bln), or 33.5% of GDP, compared to only 31.1% of GDP in 2018. The revenues are thus planned to rise by more than 16% in nominal terms (over 2018), compared to a 7.6% growth of the nominal GDP. Analysts met these estimates with skepticism, given that the Government's assumptions about the GDP rise (5.5% in real terms) are also higher than what the European Commission (3.8%), World Bank (3.5%), and IMF (3.4%) predict. Economists thus expect the Government to come up with tax hikes or to cut investments toward the end of the year for meeting the 2.5%-of-GDP target. The Fiscal Council expressed such views saying that, in the absence of any compensatory measures, the deficit will near 3% of GDP this year. The budgeted expenditures are RON 368.8 billion (EUR 79 bln), or 36.1% of GDP compared to 34.0% of GDP in 2018. "It is very important to say that the social security budget posts a surplus. It was an effect of shifting the employers’ contributions to the employees, and today we have a surplus of 2.0% of GDP. Last year, we said that Pillar I of the pension system can invest part of its money and become attractive [to contributors]," finance minister Eugen Teodorovici said.